A NEW blog post by yours truly! I just realized, embarassingly enough, that it has almost been a year since I posted anything on this blog. Can't imagine that anyone would want to visit here if there is nothing new to see. 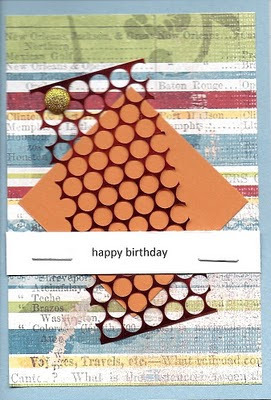 So, here is a brief posting of one of the new Birthday cards I just finished. My card box was decimated following all the May birthdays on the Riemersma side of the family, so it was time to get to card making. I made a few Anniversary cards too. 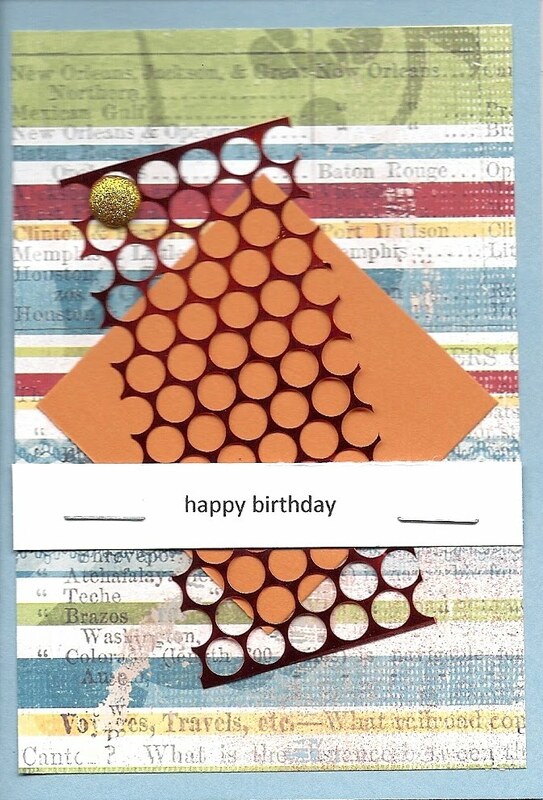 Next post will be devoted to card making, I think. Then again, it might be sailing since the boat will be put away sometime in the next couple of weeks. My, how the time has flown. Stay tuned and if you have seen this posting, come back and invite your friends too. Thanks for visiting. Great card! I like the background paper and the "pop" of that sequin waste (or whatever that stuff is called) in the foreground. I'm sure that the recipient will like it very much! Great to see your blog in action again! I promise to check back for future posts as they come.